Krasnoyarsk Krai (Russian: Красноя́рский край, Krasnoyarsky kray; [krəsnɐˈjarskʲɪj ˈkraj]) is a federal subject of Russia (a krai), with its administrative center in the city of Krasnoyarsk—the third-largest city in Siberia (after Novosibirsk and Omsk). Krasnoyarsk Krai is the largest krai in the Russian Federation, the second largest federal subject (after the Sakha Republic), and the third largest subnational governing body by area in the world, after Sakha Republic and the Australian state of Western Australia. The krai covers an area of 2,339,700 square kilometers (903,400 sq mi), which is nearly one quarter the size of the entire country of Canada (the next-largest country in the world after Russia), constituting roughly 13% of the Russian Federation's total area and containing a population of 2,828,187, or just under 2% of its population. (2010 Census). The krai lies in the middle of Siberia, and occupies nearly half of the Siberian Federal District, almost splitting it in half, stretching 3,000 km from the Sayan Mountains in the south along the Yenisei River to the Taymyr Peninsula in the north. It borders (counting clockwise from the sea) the Sakha Republic, Irkutsk, the Tuva Republic, the Republic of Khakassia, and Kemerovo, Tomsk, and Tyumen Oblasts, and the Kara Sea and Laptev Sea of the Arctic Ocean in the north. The krai is located in the basin of the Arctic Ocean; a great number of rivers that flow through the krai drain into it eventually. 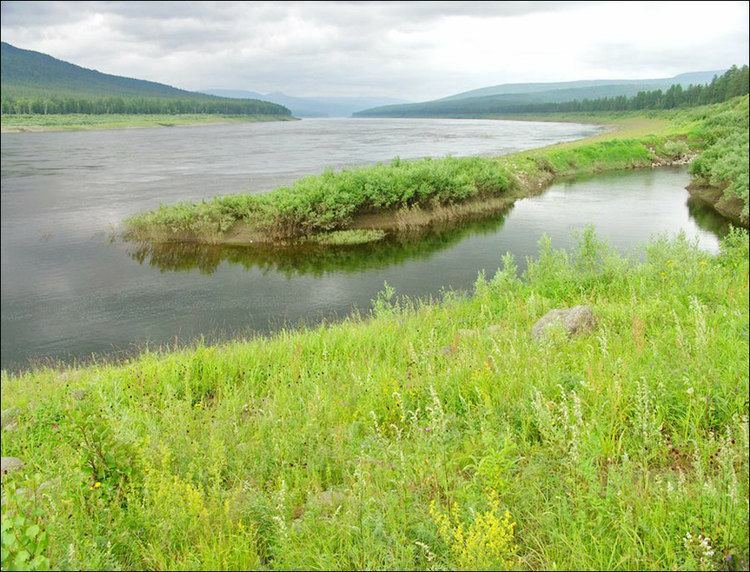 The main rivers of the krai are the Yenisei, and its tributaries (from south to north): the Kan, the Angara, the Podkamennaya Tunguska, and the Nizhnyaya Tunguska. There are also several thousand lakes in the krai. The largest lakes include Beloye, Belyo, Glubokoye, Itat, Khantayskoye, Labas, Lama, Pyasina, Taymyr, and Yessey. The rivers and lakes are rich with fish. The climate is strongly continental with large temperature variations during the year. For the central and southern regions where most of the krai's population lives, long winters and short, hot summers are characteristic. The territory of Krasnoyarsk Krai experiences conditions of three climate belts: Arctic, Subarctic, and moderate. In the north there are less than 40 days with temperature above 10 °C (50 °F), while in the south there are 110–120 such days. The average temperature in January is −36 °C (−33 °F) in the north and −18 °C (0 °F) in the south. The average temperature in July is +10 °C (50 °F) in the north and +20 °C (68 °F) in the south. The annual precipitation is 316 millimeters (12.4 in) (up to 1,200 millimeters (47 in) in foothills of the Sayan Mountains). Snow covers the central regions of the krai from early November until late March. The peaks of the Sayan Mountains higher than 2,400–2,600 m and those of the Putorana Plateau higher than 1,000–1,300 m are covered with permanent snow. Permafrost is widespread, especially in the north. The highest point of the krai is Grandiozny Peak in the East Sayan Mountains at an elevation of 2,922 meters (9,587 ft). According to archaeologists, the first people reached Siberia circa 40,000 BCE. The grave-mounds and monuments of the Scythian culture in Krasnoyarsk Krai belong to the 7th century BCE and are ones of the oldest in Eurasia. A prince's grave, the Kurgan Arshan, discovered in 2001, is also located in the krai. Russian settlement of the area (mostly by Cossacks) began in the 17th century. After the construction of the Trans-Siberian Railway the Russian colonization of the area strongly increased. During both the Tsarist and the Bolsheviks' times the territory of Krasnoyarsk Krai was used as a place of exile of political enemies. The first leaders of the Soviet state, Vladimir Lenin and Joseph Stalin were exiled to what is now the krai in 1897–1900 and 1903, respectively. In Stalin's era numerous Gulag camps were located in the region. In 1822, the Yeniseysk Governorate was created with Krasnoyarsk as its administrative center that covered territory very similar to that of the current krai. On June 30, 1908, in the basin of the Podkamennaya Tunguska River, there occurred a powerful explosion most likely to have been caused by the air burst of a large meteoroid or comet fragment at an altitude of 5–10 kilometers (3–6 miles) above Earth's surface. The force of the explosion is estimated to be about 10–15 megatons. It flattened more than 2,000 square kilometers (500,000 acres) of pine forest and killed thousands of reindeer. Krasnoyarsk Krai was created in 1934 after disaggregation of the West Siberian and East Siberian Krais and then included Taymyr and Evenk Autonomous Okrugs and Khakas Autonomous Oblast. 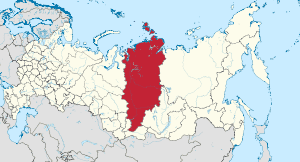 In 1991, Khakassia separated from the krai and became a republic within the Russian Federation. On January 1, 2007, following a referendum on the issue held on April 17, 2005, territories of Evenk and Taymyr Autonomous Okrugs were merged into the krai. During the Soviet period, the high authority in the oblast was shared between three persons: The first secretary of the Krasnoyarsk CPSU Committee (who in reality had the most authority), the chairman of the oblast Soviet (legislative power), and the Chairman of the oblast Executive Committee (executive power). Since 1991, CPSU lost all the power, and the head of the Oblast administration, and eventually the governor was appointed/elected alongside elected regional parliament. The Charter of Krasnoyarsk Krai is the fundamental law of the region. The Legislative Assembly of Krasnoyarsk Krai is the province's regional standing legislative (representative) body. The Legislative Assembly exercises its authority by passing laws, resolutions, and other legal acts and by supervising the implementation and observance of the laws and other legal acts passed by it. The legislative assembly consists of 52 deputies. 22 of them are elected in 22 one-mandate electoral districts by plurality system, 2 in Taymyr, 2 in Evenkia, and 26 are elected by proportional system from the lists offered by political parties. The highest executive body is the Oblast Government, which includes territorial executive bodies such as district administrations, committees, and commissions that facilitate development and run the day to day matters of the province. The Oblast administration supports the activities of the Governor who is the highest official and acts as guarantor of the observance of the krai Charter in accordance with the Constitution of Russia. In December 1991, president Boris Yeltsin appointed Arkady Veprev as the first governor of Krasnoyarsk Krai. In January 1993 Yeltsin appointed Valery Zubov as the second governor of Krasnoyarsk Krai. In Krasnoyarsk Territory governor elections were called. Zubov was elected in a universal election for a five-year term. The Legislative Assembly of Krasnoyarsk Krai was created as well. In 1998, Zubov lost in the gubernatorial election to General Aleksandr Lebed, a politician well known in all Russia. In 2002 Lebed died in a helicopter accident. In 2002, Alexander Khloponin, the governor of Taymyr Autonomous Okrug and an influential businessman was elected a governor of Krasnoyarsk Krai. In 2007, he was nominated by president Vladimir Putin for re-election, and Khloponin was elected by the legislative assembly for the second term. In 2010, after Khloponin was promoted to the office of the president's envoy in the North Caucasian Federal District, Lev Kuznetsov, a businessman and politician from Khloponin's circle, became the new governor of the region. Krasnoyarsk Krai is represented in the Federation Council of Russia, the upper house of the Russian parliament by two senators. In 2007, eight deputies were elected to the State Duma from Krasnoyarsk regional lists of different political parties. Over 95% of the cities, a majority of the industrial enterprises, and all of the agriculture are concentrated in the south of the krai. 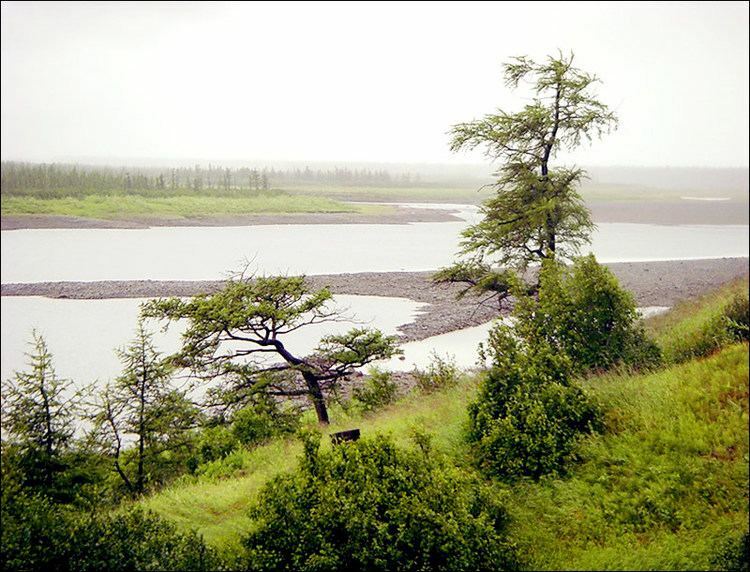 The krai is among the richest of Russia's regions in natural resources. Eighty percent of the country's nickel, 75% of its cobalt, 70% of its copper, 16% of its coal, and 10% of its gold are extracted here. Krasnoyarsk also produces 20% of the country's timber. More than 95% of Russian resources of platinum and platinoids are concentrated in the krai. The two most powerful hydroelectric plants in Russia are built on the Yenisei River, one is being built on the Angara, and several are being planned. It makes Krasnoyarsk Krai one of the most important producers of electric energy in Russia, and a desirable location for energy-intensive industries, such as aluminium plants. Trans-Siberian Railroad (650 km (400 mi) within Krasnoyarsk Krai), Norilsk Railroad (the most northern railroad in the world); North Siberian Railroad is planned. Highways: M53 Baikal (Novosibirsk-Krasnoyarsk-Irkutsk), M54 Yenisei (Krasnoyarsk-Kyzyl-Mongolia) R409 Eniseiskiy trakt (Krasnoyarsk-Lesosibirsk-Yeniseysk). 26 airports, including an international airport (Yemelyanovo near Krasnoyarsk). Two pipes of Irkutsk-Anzhero-Sudzhensk petroleum pipeline. Krasnoyarsk Krai consists of forty-four districts and fourteen towns of district significance. Two of the districts (Evenkiysky and Taymyrsky; the former autonomous okrugs) have special status. Population (including former Taymyr and Evenk Autonomous Okrugs): 2,828,187 (2010 Census); 3,023,525 (2002 Census); 3,596,260 (1989 Census). Ethnic groups: The population of the krai mostly consists of Russians, and some other peoples of the former Soviet Union. The indigenous Siberian peoples make up no more than 1% of the population. 100,621 people were registered from administrative databases, and could not declare an ethnicity. It is estimated that the proportion of ethnicities in this group is the same as that of the declared group. As of August 2009, Krasnoyarsk Krai recorded a natural growth of population for the first time in 16 years. As a survey conducted in 2012, 29.6% of the population of Krasnoyarsk Krai adheres to the Russian Orthodox Church, 5% declares to be a nondenominational Christian (excluding Protestant churches), 2% is an Orthodox Christian believer without belonging to any church or is a member of other (non-Russian) Orthodox churches, 1.5% is Muslim, 1% follows the Slavic native faith (Rodnovery), and 10.9% did not give an answer to the survey. In addition, 35% of the population declares to be "spiritual but not religious" and 15% to be atheist. Krasnoyarsk is the site of the Siberian Federal University, one of the four largest educational institutions of Russia. Many important industrial cities of Krasnoyarsk Krai, such as Krasnoyarsk, Norilsk, Achinsk, Kansk, Zheleznogorsk, and Minusinsk, suffer from environmental pollution.